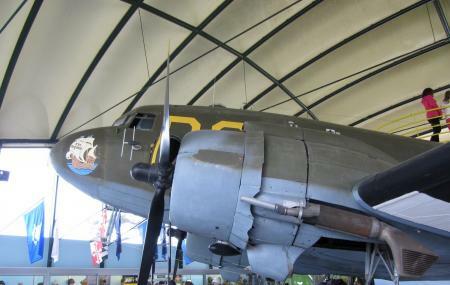 The Airborne Museum is located in the heart of the little village of Sainte-Mere-Eglise in Normandy. The museum exhibits a magnificent display of airborne insignia patches, Uncle Frank’s regiment, the All American patch, Spiderman orange patch, etc. The museum has been a popular attraction for 50 years now and is also referred to as the largest museum in Europe. Dedicated to the American paratroopers, the museum carries rich information relevant to the history of the city. The museum is therefore a much recommended visit from Bayeux. The cathedral is quite close to the museum. Guided tours are available to the museum. How popular is Airborne Museum? People normally club together Chateau Des Ravalet And Park and Hotel De Beaumont while planning their visit to Airborne Museum.